A QUALIFIED AND EXPERIENCED COACH, SUPERVISOR, CONSULTANT, FACILITATOR, AND MINDFULNESS TEACHER. SARA HAS BEEN HELPING PEOPLE AND ORGANISATIONS REACH THEIR POTENTIAL SINCE 1997. 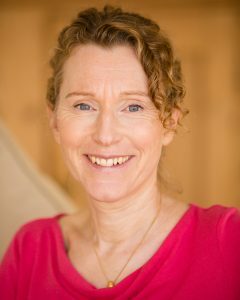 As well as helping individuals with their personal development journeys, Sara has helped businesses succeed through effective leadership and coherent people practices. She has worked with a variety of organisations from large corporations to small start-ups, in fields as diverse as FMCG, IT, high street retailing and the education sector. Her work has included projects in change management, leadership development, team performance and organisational effectiveness. Sara is trained and experienced in working integratively, drawing on a variety of models and theories to creatively tailor her approach to each client. Her work focuses on the whole person or organisation and the groups and environments they are part of. She works in partnership to find solutions and facilitate changes that work because they are aligned with values and purpose. She helps people to develop resilience and greater psychological wellbeing, enabling them to live, work and lead in more skillful and authentic ways.